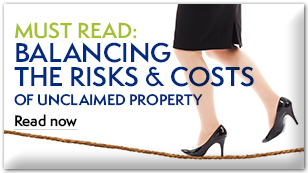 Every company’s situation is different, but nearly every organization must identify potential unclaimed property risks and liabilities to avoid damage to finances, resources and reputations. 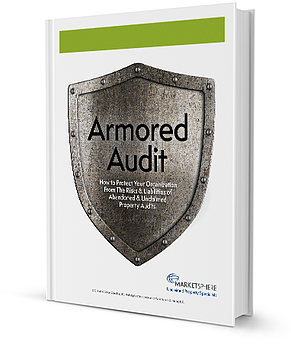 It’s much better to uncover potential risk before an audit. The problem is, you practically need a degree in unclaimed property to understand all the nuances of the laws and escheatment processes. 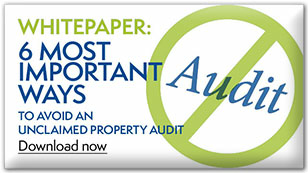 We know what auditors look for, because we used to be the ones looking. 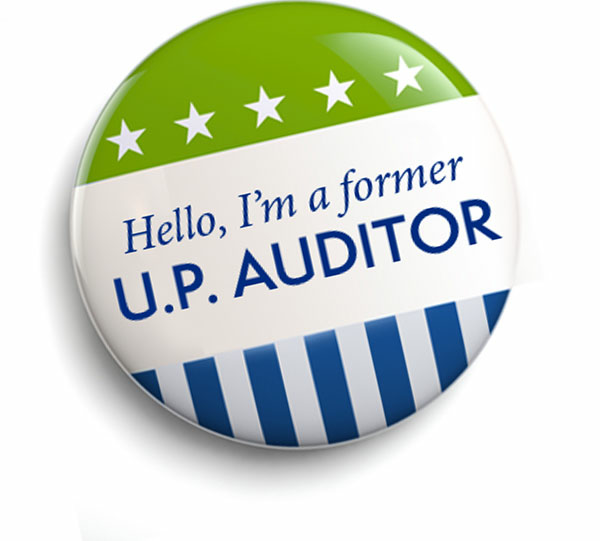 MarketSphere consultants have a secret weapon to help you find and conquer unclaimed property risks—in past jobs, some of us were auditors and state administrators. Through a highly consultative MarketSphere Exposure Assessment, we go below the surface to identify underlying unclaimed property issues. Using proprietary software and many years of experience, we identify your largest, most sensitive exposures, focusing first on “upstream” processes within your organization that could cause unnecessary stale-dating of property. We’ll present options based on your company’s specific circumstances. Then, we’ll help you select strategic actions for the most effective insulation from risk, whether you’re hoping to avoid a future audit or better manage a scheduled audit. We can even tell you how much it likely will cost to achieve full compliance and help you present the facts to senior management, so they will better understand the potential consequences of doing nothing. We use our team’s extensive knowledge and experience to help you uncover common mistakes, identify solutions and leverage all potential advantages.